Safety first – the highest possible IT protection | Rittal - The System. 2016-09-06. From 18 to 20 October 2016, Rittal will be exhibiting the latest information technology infrastructure solutions at the “it-sa” IT security trade show in Nuremberg. The products presented will range from single IT racks to modular systems for turnkey data centres. In addition to the solutions for protecting the information technology, the security concepts applied by Rittal help companies meet the strict requirements of the German IT Security Act. According to a report from Germany’s Federal Office for Information Security (“The State of IT Security in Germany 2015”), the threats of cyber-attacks are growing. The German Government has already responded with the IT Security Act. This legislative initiative sets out concrete guidelines for the operators and manufacturers of IT infrastructures to improve the protection of the most critical infrastructures. Medium-sized companies will also have to increasingly protect their systems, because in times of the Industrial Internet (Industry 4.0), technology penetrates as far as the machines on the assembly line. At the 2016 “it-sa”, under the motto “Our expertise. Your benefit”, Rittal will be showing just how companies can protect their IT infrastructures from cyberattacks and data loss in order to guarantee highly available and resilient IT operations. Solutions to be displayed range from individual IT racks, climate control systems, as well as complete IT safes and modular systems for turnkey data centres. The security achieved at IT rack level is the central element of an end-to-end security plan. With the TE 8000, companies have a general-purpose access enclosure so that they can quickly and easily construct a high-security IT environment. The enclosure boasts IP 20 protection, meaning it provides effective safeguards against unauthorised physical access in office environments. Anyone looking for reliable protection for critical data and critical IT components from hazards such as fire, water, dust, fumes, or unauthorised access will find what they want in the Micro Data Centre. The IT safe developed by Rittal makes it possible to operate information technology in a protective room at the very high security level of a resistance class 4 data centre. The specially safeguarded complete system consists of a 482.6 mm (19") rack with built-in climate control. Servers, storage systems and network components can only be operated continuously when they are permanently cooled. Rittal provides the solutions for an efficient and modular IT rack climate control in the form of the LCU and LCP DX cooling systems, which meet the requirement for high reliability. The special feature of the LCP DX: No active control components are required to operate the external condenser because the fan speed is determined by the pressure of the refrigerant. The Rittal LCUI DX cooling solution for information technology, as a split cooling unit, offers refrigerant-based enclosure cooling. Available in output classes up to 6.5 kW, the cooling unit is ideal for professional company IT infrastructures as an entry-level device. Rittal offers the PDU (Power Distribution Unit) to protect the power supply. By current industry standards, PDUs are secure multiple sockets, which can optionally be provided with additional intelligence. They offer features such measurement, alarms and switching, but can also include sensors for temperature and access monitoring. Rittal provides two solutions to ensure the safe monitoring of IT racks and infrastructures, which will also be presented at its booth: The CMC III (Computer Multi Control) modular monitoring system monitors all the components in the IT rack. 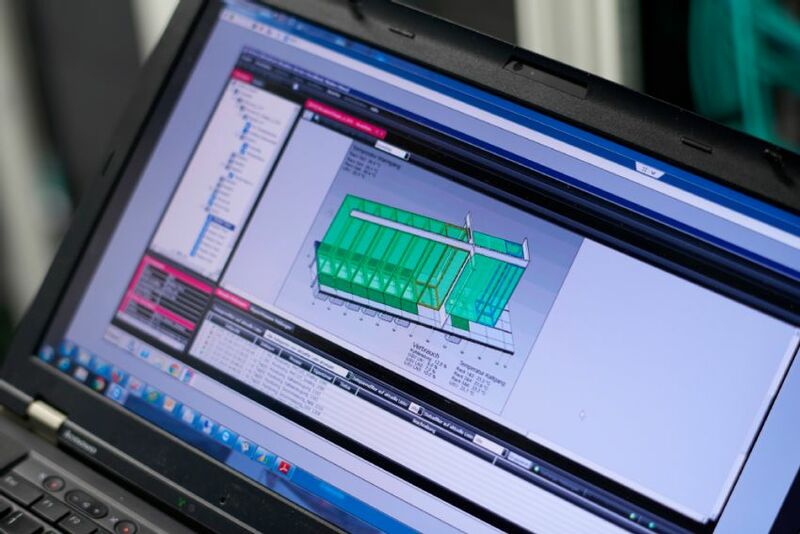 With RiZone, Rittal provides a modular and flexibly usable DCIM software application for monitoring data centres. It can also be used quickly in small environments. Data centres that are quickly available are needed more and more for reasons of cost and energy efficiency. Rittal offers a range of pre-configured plug & play modules to permit the rapid construction of data centres. The “Smart Package” infrastructure platform is one example. Rittal, as a strategic partner of IBM, uses it to offer complete turnkey SMDC (Scalable Modular Data Centre) cloud solution including IT hardware, software and service. In addition, Rittal will also be providing information on its “RiMatrix” BCC at the it-sa. This fully virtualised turnkey cloud data centre in ISO or non-ISO container format is suitable for standard applications. It can also be used for highly demanding Big Data scenarios and for controlling “Industry 4.0” (Industrial Internet of Things) environments.